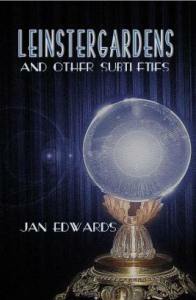 A spirited collection of fourteen ghosts and hauntings from the back-catalogue of writer, Jan Edwards, with introduction by Shadow Publishing editor David Sutton. These tales of lonely ghosts and vengeful spirits cover the range of human emotion; from war and soul harvesters, through unrequited love, to ghostly go-betweens. Chilling tales that will keep you turning pages right to the very end. Includes the BFS award short-listed ‘Otterburn’, plus a previously unpublished tale!